In my first part of the digital transformation series, I showed you what is important to me and that you probably have to start with yourself first to get your digital transformation going. 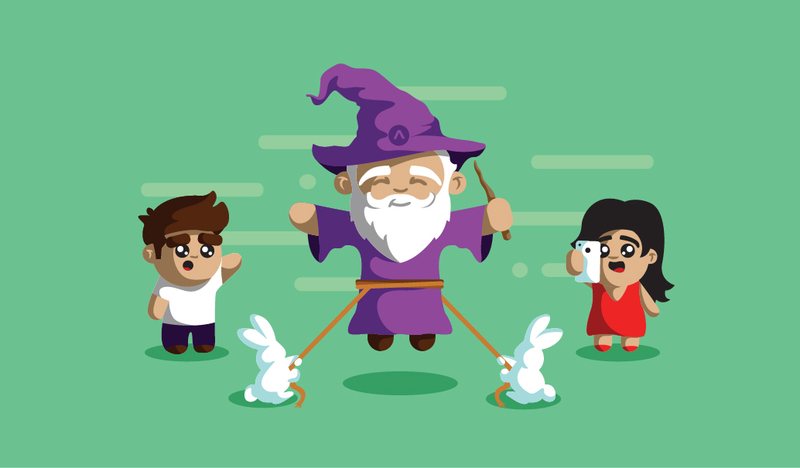 This time we are looking into your team of wizards working with you on digital transformation. Let’s face it: If you try to make the digital transformation reality, it is incredible hard to do that on your own. Even if you are in a small company and know all your co-workers, some of them are just harder to convince than others. 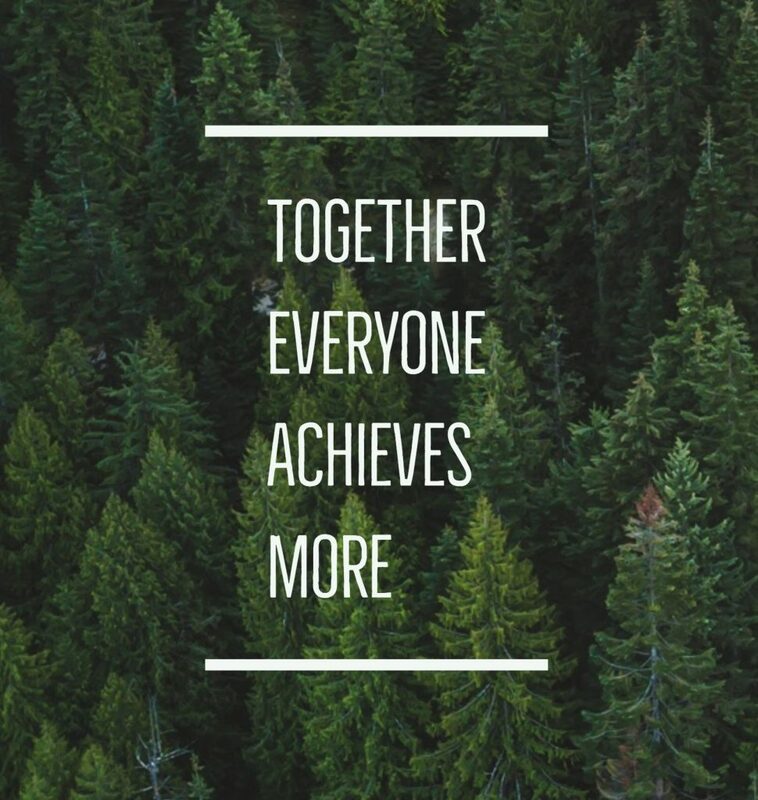 With your magical team you have the opportunity to get closer with all your co-workers. Some share a deep story, some have worked for ages together. This is it what you need. Empathy! A “Wizard” is a person who has mastered his craft. For me a wizard is someone who has learned to master their craft, rather than someone with a natural ability for magic. If you create your team with wizards you are absolutely capable of transforming your business in a digital way. But how do you find those wizards within your co-workers? Well, you probably have some people you already know, that could help you on this path, but some of them don’t even know that they are magical, so you have to help them to discover it for themselves. 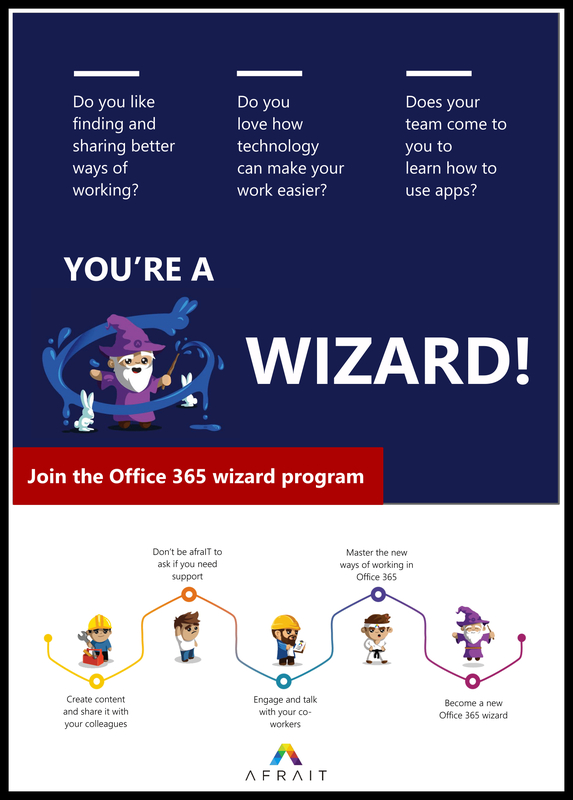 If you know the Microsoft’s Champions Program the following flyer looks familiar to you. I redesigned it for my purpose. Maybe this is a first step creating excitement and finding future wizards for you. With the help of your team you make every single one of them a wizard in a specific area. Some of them are maybe more into Microsoft Teams. Some of them like Yammer and a few others are interested in Microsoft SharePoint or OneDrive. You need every single one of them to make you digital transformation a success! Go with them together, push you team, help them, teach them, motivate them. To create something magical, you and your team should work together on the vision of digital transformation. Tell them what the vision is about, tell them why you want to go there and tell them what is in for them if they go with you! Today, it is getting tricky to build your team. Everybody has enough to work on. People are often glad, if the day is finally over and they can go home. They don’t feel appreciated enough, they don’t feel important to the company. This is also the perfect time for your wizard program. To think outside of the box, to do something not that related to their daily work and the feeling you can create that your co-worker can help the company is something a lot of people are looking for. Don’t hustle finding your team. Invest in finding the right people, your wizards for your digital transformation. It is important that you don’t underestimate the motivational aspect of a team. If you are in to sports, you probably have seen how a team can come back and win their game. This is the same for your team of wizards. As motivation you don’t have to offer a big bonus after the project. If you can offer that, of course I could help 🙂 but more importantly is the culture in your team. As mentioned in my digital transformation article part 1 – start with yourself Go out with your team on e.g. a weekend trip. Not everything has to be work related. Talk with them as friends. Engage with them as friends. For me as a German especially the words “Staff”, “Employee” of “Staff member” is the first step into the wrong direction. It just sounds like “I am the manager, you are my resource”. 1) Get curious about how employees feel. Leaders spend too much time solving problems that don’t exist. They’re too busy in the whirlwind of their day to actually talk to their workforce members and discover how they feel. 2) Feed understanding with data. Having transparent conversations with your employees doesn’t mean you can’t use available analytical tools. Data can help you strategize and keep track of engagement and disengagement. 3) Drive accountability through feedback. Consistent feedback is the most critical step to increase the emotional intelligence of your workplace. It builds the kind of healthy working relationships required to truly engage employees. How to train you wizards? When it comes to training, it is definitely something where you should have a good plan. A great example here is again the area of sports. There is always at least one person who tells you your next exercise, why it is important and what it is, that you are able to do afterwards. The same is for your Wizard program. Develop a plan which suits your needs. If you want to learn more about my idea of this plan, let me know in the comment section below or on Twitter. At this point, I want to say a big THANK YOU for all your support! I’ve never thought, that this blog could reach that many awesome people. And yes, you are one of them! 🙂 Don’t you forget that! This is it for the part 2 of my series about digital transformation. I hope, I could make you smile while reading this article. 🙂 Until the next one, don’t be afraIT. Gefällt mir gut – ein sehr persönlicher Blog. Coole Illustrationen – machst Du die Bilder alle selber? Danke Phillip. Die Bilder sind teilweise von mir, teilweise hab ich da jemanden der mich unterstützt.